I've always wanted to hang up those dresses and clothes we use at church, parties as well as the coat, in order to see them right away. There are times that due to the brand of fabric of the garments, it won't stay on the regular hangers I got in our local store. It's economical, nonetheless, I have to maintain hanging them back over and over, since it just easily falls off which is tiring. By no means trying a unlike brand as I was trying to be more realistic. 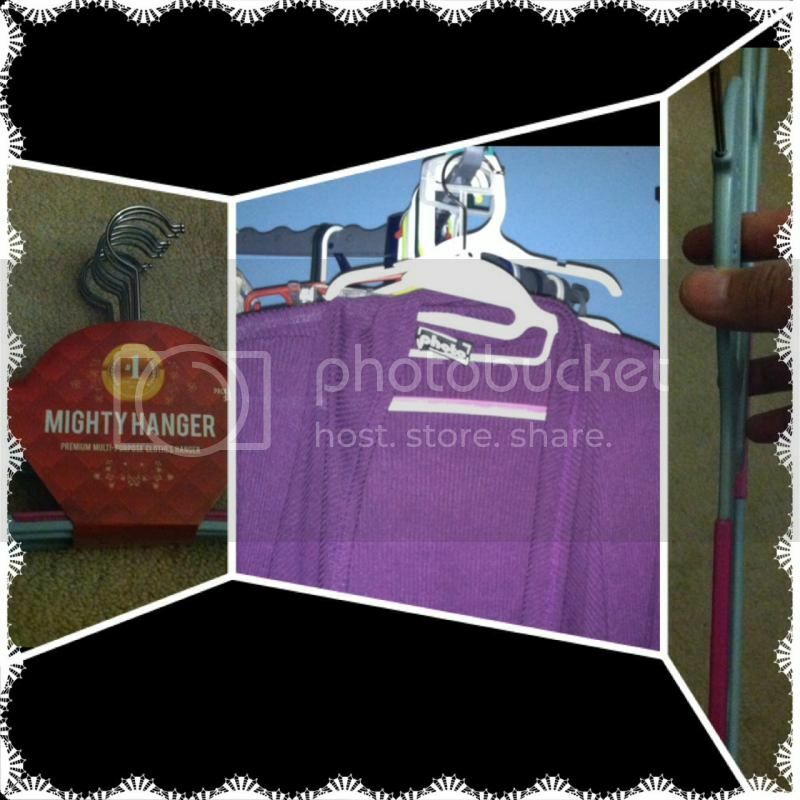 Nevertheless, I was keyed up to obtain a different and new brand named Mighty Hanger a non-slip hanger for clothes. Would this be the answer to those predicaments I want to resolve with our clothes? As mentioned about, I got the prospect to try the product and see what would this mighty hanger be different from the one I used. The first thing I've notice was the portion where you hang the clothes' sleeves to keep it from slipping, where it was a rubber to keep it in. Very slim I have to say, the hanger is indeed sturdy to me. I love the handle or the hook because it's metal, which I do find that it won't break easily. I like the slip design underneath, I would say this kind of hanger is a versatile one. Oh! Did I mention that the hook itself stays? I love it no more moveable one. A good idea for gift this upcoming holiday to your family or friends. I'm sure they'll appreciate this kind gift, especially if they have little kids whom can use the product too. Where to find one? Get your MightyHanger™ Non-slip Clothes Hanger on Amazon.